First of all it was Father’s day on Sunday, Bethan took the initiative and went off to be creative all on her own with paper, pencil, scissors and glue stick and had fun making something with love for her papa. We don’t go wild on the present front but as I was in the swing of making notebook slip covers I made this for my children’s wonderful dad. 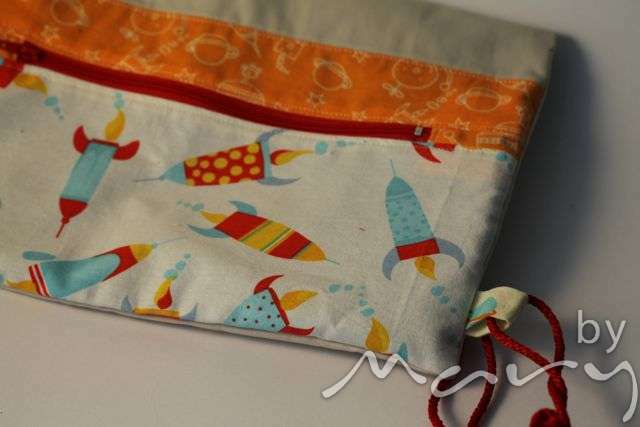 I made Tobi a lap top case with this fabric last summer and still have quite a bit left so sewed this up one evening. I’ve also made some backpacks using more girly fabrics, you’ll have to wait for photo’s of those. 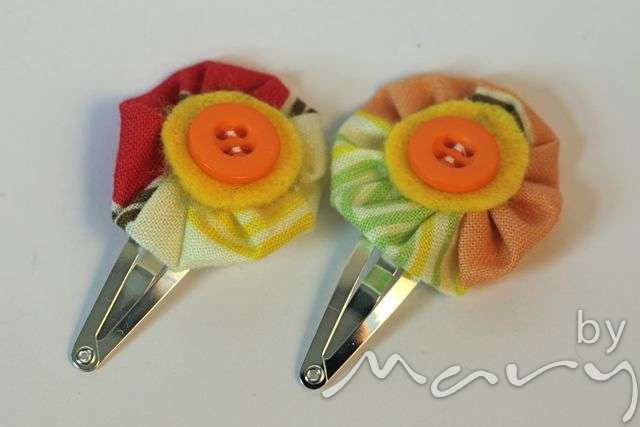 Hair clips and pony tail bands, I made them mostly in pairs, although they are not identical just cut from the same fabric which I think is great, so they are similar but not the same. Do you buy pairs of them or do you like to buy single ones? When I (or Tobit) have photographed all the other variations on these themes I’ll post them up for you to enjoy! I’ve also signed up to Cindy’s Japanese Fabric Swap here, there are only a few places left so if you want to join in go over there quick. You can see lots of lovely Japanese fabric posted in the flickr group here (I think you can view it without joining the group – sorry if it doesn’t work!) 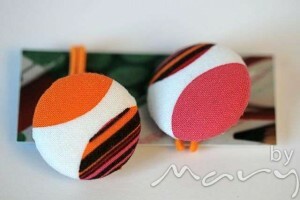 I can’t wait to see what other fabrics appear. We had a browse through the local charity shops on Saturday afternoon and I came across a bag of patchwork, hexagons all handpieced together, quite a few piles of at least 7 pieces. I thought about buying it and decided I have enough projects on the go and someone else should have it. I then posted about it on facebook and realised that I should have bought it to pass on as there were a few interested people! Two of them were even outside the shop on Monday morning when it opened – only to discover it had gone! So if it was you who sneaked in there on Saturday afternoon we’d love to know what you plan to do with it – enjoy! This mornings job was to sort fabrics out from my overflowing scrap pile to make up some mini scrap rolls for the school fete but I’ve been somewhat distracted and whilst writing this am also cutting 2.5″ squares for a scrap vomit quilt! 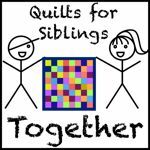 Thomas who blogs here is making a no-repeat pattern quilt, he has collected 4,147 squares and needs 784 more! I’m not sure I’ll be going for such a large number but I do like the idea of keeping a small piece of fabric from each fabric I used, whether I like it or not! If you have a stash of 2.5″ squares you don’t know what to do with join in or send them to me! Right back to the cutting table! « Fabric Flowers – not a tutorial! 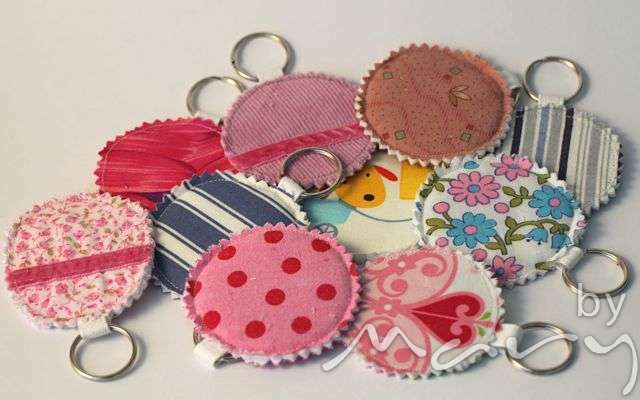 Love that notebook cover – and the keyrings – what a cute idea. 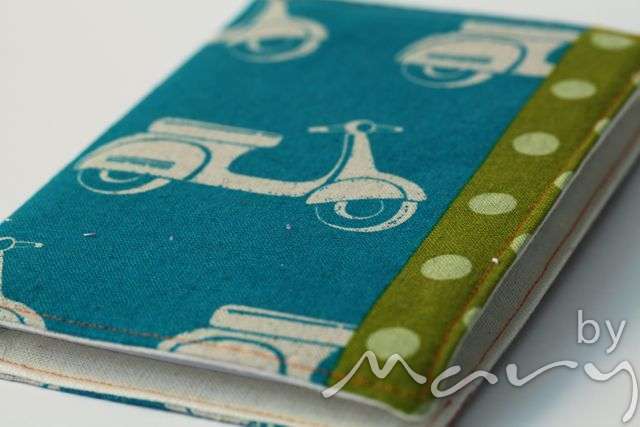 I love the scooter fabric on the book cover! 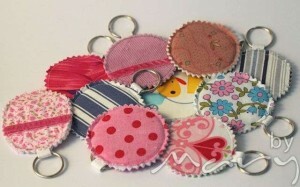 And those little keyrings are great. Mmm it’s echino, I’ve got some left for something special (no idea what though!) trying to make a little go a long way!